Diamond Resorts International®, a global leader in the hospitality and vacation ownership industries, announces a new alliance and sponsorship arrangement with chart-topping and Grammy-nominated country music singer and songwriter Lee Brice. Brice will perform live, acoustic performances at various Diamond Resorts destinations across the U.S. as a part of the Events of a Lifetime® experiential vacation program for members and owners. Unique and exclusive to Diamond Resorts, the 2017 Diamond Resorts Concert Series also includes multiple performances by country music artists Jana Kramer, Colt Ford and Cole Swindell. In addition to private performances, Diamond Resorts members will also have the opportunity to enjoy premium seating, private meet-and-greet experiences and a backstage tour at Brice’s concerts across North America in 2017. Like the Diamond Resorts Concert Series, these concerts will be a part of the Events of a Lifetime® franchise, which delivers more than 3,000 exciting VIP experiential opportunities for Diamond Resorts members and owners every year. Brice will represent Diamond Resorts alongside a roster of high-profile celebrities such as country music stars Cole Swindell, Jana Kramer and Colt Ford; baseball Hall of Famers Reggie Jackson and Gaylord Perry; PGA touring professionals Brian Gay, Brittany Lincicome and John Cook; and Super Bowl XXVI MVP Mark Rypien; among others. 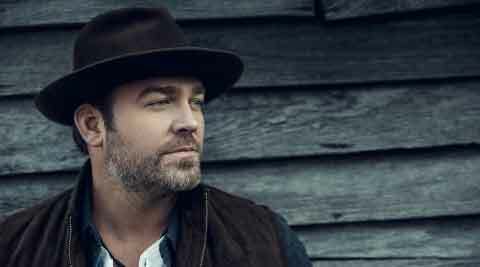 With a new single, “BOY,” out in June and a new album out later this year, Lee Brice continues to build a solid career on a bedrock of hit songs that connect melodically and lyrically. With his latest album, I Don’t Dance (9.14), Lee has scored two Billboard Country #1 smashes, “I Don’t Dance” and “Drinking Class,” and “That Don’t Sound Like You” earning a Top 10 chart position. Lee released his debut album, Love Like Crazy, in 2009. The title track reached #3 on the Billboard Country Chart and set a record as the longest-charting song in that chart’s history. In 2012, he topped his own success with Hard 2 Love, an album that went Gold and featured three #1 country singles, including “I Drive Your Truck,” which won Song of the Year at both the CMA and ACM Awards. Brice took it a step further on his latest album, I Don’t Dance (9.14), taking on the role of producer with a flair for experimentation, resulting in Dance’s title track taking the #1 position on the radio the week the album released. Most recently, Lee earned his first RIAA DOUBLE-Platinum certification, commemorating more than two-million sales and streams of his single, “I Don’t Dance” (Curb Records 2014), marking his seventh consecutive certification since “Love Like Crazy” certified Gold in 2010. The award-winning songwriter, producer and male-vocalist continues to tour through the fall while writing, producing and recording his fourth studio album (due out this fall) and preparing for the arrival of his third child — a daughter — in June. Diamond Resorts offers its members the opportunity to create priceless memories through innovative vacation choices, including once-in-a-lifetime excursions to world-renowned landmarks; unforgettable guided tours to dream destinations; and access to exclusive VIP concert experiences, high-energy sporting events and exciting shows. With high-quality resorts in desirable destinations, we provide the kind of vacation experiences that help our members, owners and guests reconnect with loved ones, collect a lifetime of meaningful memories and keep that Stay Vacationed® feeling all year long.